Blurring and merging the boundaries between an exhibition, an event and a co~creative invitation, we have called this an 'Art Experience'. 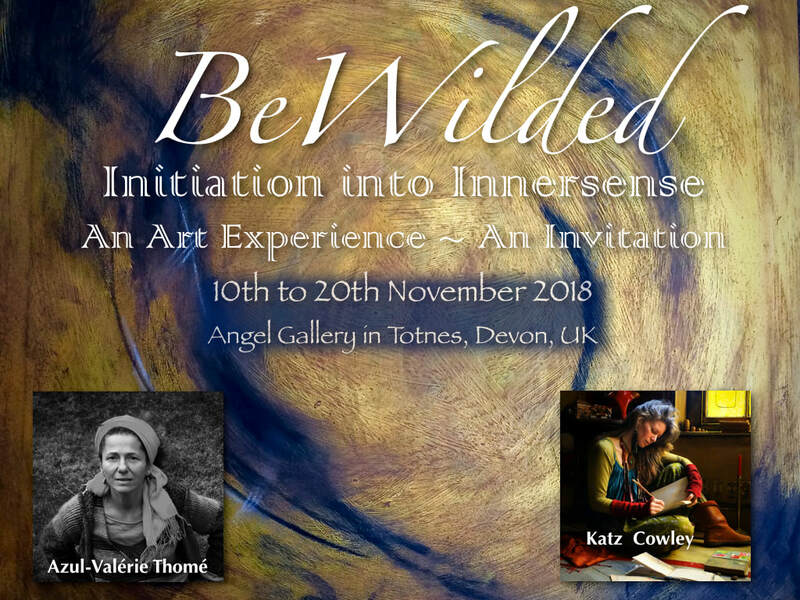 We warmly invite you to join us for this 10~day immersive event, offering and space to come together in the theme of BeWilded. This name was born from a weaving together of the songlines of our passions for Initiation and Innersense and a longing to return to the truth of our authentic beingness and all that silently calls forth within us as we remember and reclaim ourselves and the world of our longing. Azul offers a space of deep initiation back to ourselves, and Katz calls us to reclaim more of the magic of our true, authentic nature in our 'innersense'. 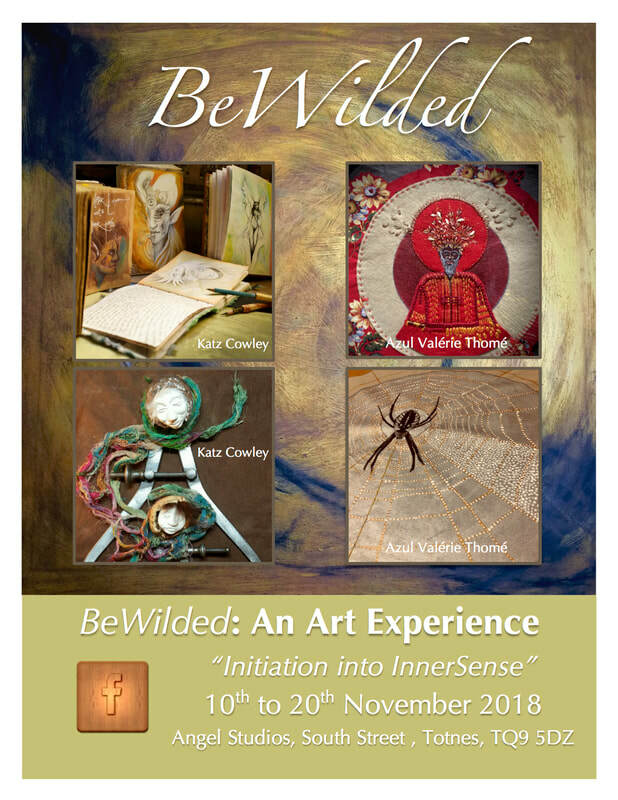 We will be showing and sharing creations along the BeWilded theme, and merging that with offerings from our Hearts in an immersive, organic, co~creative space to gather together, remember and reclaim ourselves and initiate the lives of our longing, in circle, in courage and in Heart. 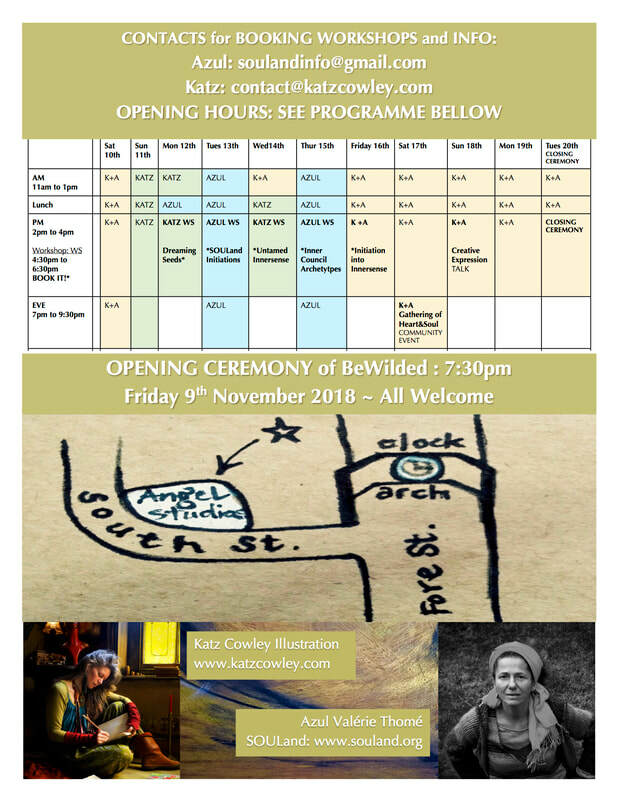 We look forward to welcoming you in to BeWilded. A call to gather, circle and share & initiate your creative dreams, visions and projects around the cooking pot, to get them bubbling and be witnessed in anchoring projects and intentions for the expansion of your creative expression. Tapping into inner & outer impulses for creative juice & fuel. We will work with red clay to identify and inCORPorate a few women archetypes. A two hours offering of deep creativity, ensoulment and delightful mystery..
A community event & creative call to share your longings for the world you wish to see, create and be in. Poems, songs & all forms of self~expression to share from your Heart in a beautiful community space.